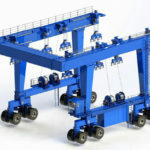 300 ton travel lift, also known as boat hoist or boat lift, is a non-standard gantry crane used in shipyards, marinas, yacht clubs, water recreation center, boat repair and maintenance yards. 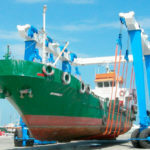 It is able to lift and move boats of multiple sizes and shapes. 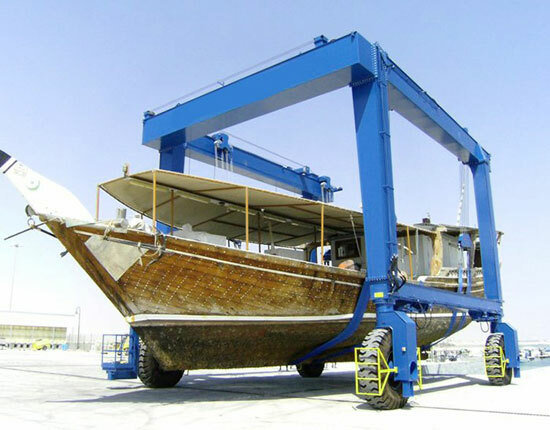 Our mobile boat travel lift is fully functional as it is capable of moving and steering in the working areas to carry the vessels and then park them to allocated locations. The 300 ton boat travel lift supplied by Ellsen machinery comes in multiple styles and configurations for your needs. It can be adapted to almost all sorts of applications, such as marinas, shipyards and commercial yards. Our boat crane can be classified into sailboat hoist, yacht lift, wooden boat lift and so on according to the type of vessels being lifted, hydraulic boat hoist and electric boat lift according to the power source. 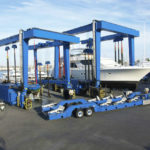 Which type of boat travel lift do you need? If you are not sure about that, discuss your boat lift specifications with one of our experts online so that we can help you specify a crane that is the most economical and productive for your applications. Our 300 ton travel lift is with flexible design as it is designed to be mobile and can be built with some variable features. 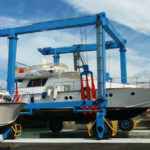 When it comes to boat travel lift design, there are a number of things you need to consider so as to build the perfect crane. 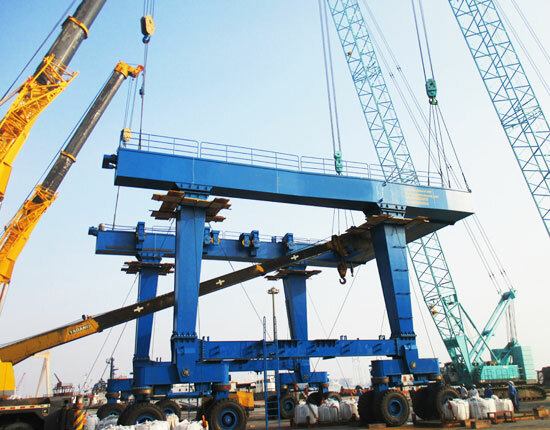 Boat crane specifications: rated load, span, height, width, lifting speed, travelling speed, etc. Duty cycle: how frequent do you use the crane? Travelling and steering mode: do you need the boat hoist crane to achieve multi-functions by means of employing various travelling and steering modes, such as straight travelling, oblique travelling, fixing axle steering and 90 degree steering? Control mode: will the crane be operated remotely from the ground or within a cabin? Working environment: will the travel lift be used in shipyards or harsh marine environments? Some special materials, components and paint may be required for your crane in order to prevent it from corroding in salt-water environment. Power requirements: our 300 ton boat travel lift typically adopts hydraulic transmission system. In some small tonnage boat handling applications, we are able to design an economical electric transmission system for your boat hoist. At Ellsen company, we can help you design a cost-effective and efficient solution for your marine operations. If you are interested in travel lift and its design, please don’t hesitate to contact us. Steering mode: fixing axle steering, 90 degree steering, Ackermann steering, etc. 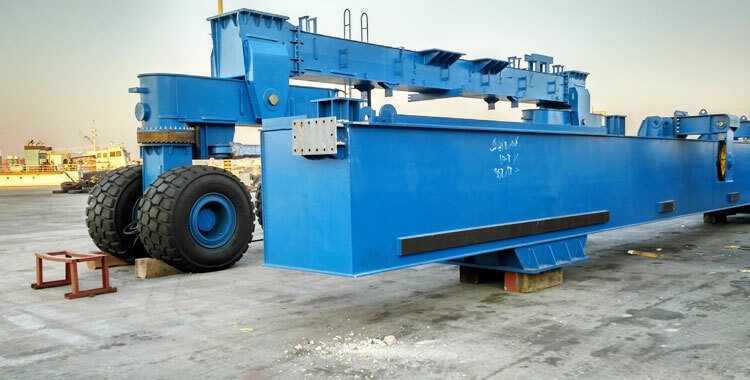 Other options: movable lifting points, variable span, variable amplitude cross beam, variable lifting stroke, the number of lifting points and wheel groups. 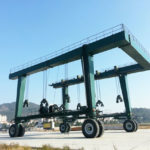 If the given travel lift crane specifications cannot match your requirements, we offer custom design. Each item the above can be customized according to your specific requirement. The marine boat lift has simple structure, mainly composed of double-gantry frame, hoisting mechanism, steering system, hydraulic transmission system, wheel set and electrical control system. 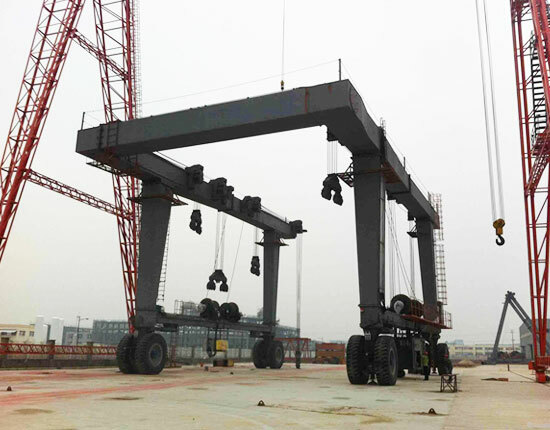 The U-shaped structure enables it to handle large boats of which the height can exceed the crane itself. 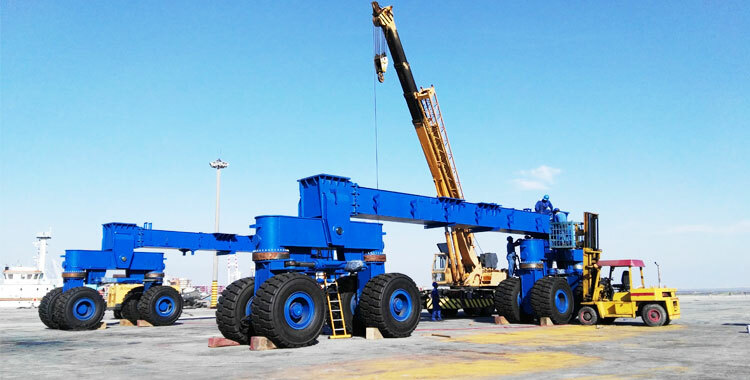 The hydraulic transmission system is adopted for both hoisting and travelling mechanisms. It has several exceptional features including smooth movement, fast response, low inertia, high-speed start, brake and reversing, simple and convenient operation. It is also easy to achieve overload protection. The hoisting mechanism adopts multiple lifting points, which can effectively disperse the force acting on the hull. The distance between the lifting points can be adjusted to meet different boat configurations. The hydraulic steering system is controlled by means of cylinder or worm gear. Use soft and strong slings to evenly carry the hull of a boat or yacht without any damage to its surface. The articulated main and end beams are aimed for reducing structural stress that is caused when travelling on uneven ground surface. 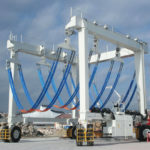 It can quickly arrange the vessels in a row so as to increase the utilization of limited yard space. Why Buy A 300 Ton Travel Lift From Ellsen? We have over 10 years of experience in the travel lift design, manufacturing, installation, commissioning and maintenance. 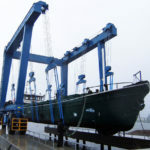 With our excellent engineers, we can offer custom solutions to our clients ranging from small-capacity, light duty travel lift to extremely large, heavy duty boat hoist. As a trusted travel lift manufacturer and supplier, we always provide our customers with reliable products in terms of strength, quality, durability, safety and flexibility. All of our travel-lifts are made of high quality materials in order to make sure they can work for decades. They are also built with excellent safety features to ensure a secure operation. To get a free 300 ton travel lift quotation, call us today or send email to us!